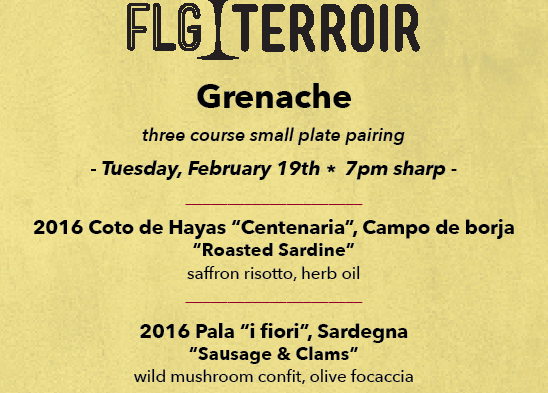 Come join us for our next “Small Plate Pairing Event” on Tuesday February 19th at 7pm. This month our theme is “Grenache” We look forward to sharing this with you. Tickets are $45 (including tax and gratuity), space is limited. Head on over to our events page for tickets.